Trans-resveratrol is a naturally occurring antioxidant that is primarily found in grapes and in red wines. It is gaining more and more prominence due to its many purported health benefits. Indeed, there is evidence showing that trans-resveratrol may help ward off cancer, promote weight loss, help improve longevity and work as an effective anti-aging ingredient. Although people traditionally obtained trans-resveratrol through red wine consumption, concerns from those who do not want a lot of alcohol in their diet have spurred the creation of many dietary supplements featuring trans-resveratrol. Today, people have more options than ever before for adding this antioxidant to their diet. Besides it high quantity in red wine, trans-resveratrol is also found in grapes and grape juice. Indeed, many popular extracts are made using grape seeds and grape skins. Also, most dietary supplements featuring trans-resveratrol obtain the antioxidant from the Japanese knotweed plant. This plant contains large doses of trans-resveratrol, and is much more economical than it is when extracted from grapes or similar sources. Although there is a trace amount of trans-resveratrol in peanuts, it is not considered to be a common source. Because of its popularity, trans-resveratrol can be found in a wide range of dietary supplements today. A great deal of scientific research into the benefits of trans-resveratrol has already been conducted. Dietitians, scientists and other researchers have performed many laboratory tests on different animals to determine just how this antioxidant works. These studies have focused on phenomena such as the cancer fighting abilities of trans-resveratrol and its weight loss characteristics. Actual human studies are still in their infancy but are continually being prepared for, in order to give the public more conclusive results regarding trans-resveratrol. The research that has already been done, though, is very promising indeed. One of the most talked about benefits of trans-resveratrol is its capabilities as an anti-aging ingredient. With so many products on the market today, people routinely become confused about what works and what does not. However, it has tentatively been shown that trans-resveratrol stimulates the SIRT1 gene. This gene is the one that is responsible for working on the fat stores of people on calorie restricted diets, but it is also believed to help improve longevity and create a more youthful appearance. For its anti-aging benefits, then, trans-resveratrol is very promising to many people who seek ways to live longer, healthier lives. When trans-resveratrol and its many health benefits were featured on a report on the popular television news program 60 Minutes, the world certainly took notice. After all, the program is widely respected and many people turn to it for informative, factual information. Correspondent Morley Schafer spoke with various medical researchers and others who discussed the various benefits being attributed to trans-resveratrol. Without a doubt, this report did much to promote trans-resveratrol around the world and allowed more people than ever before to hear about its many intriguing possibilities and health benefits. Which trans-resveratrol pill or supplement is the best? 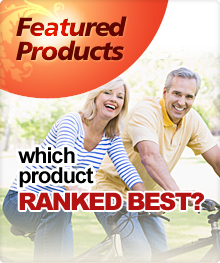 Check out our reviews or product chart to compare trans-resveratrol supplements and see which supplement was ranked highest.